Globally, we are waking up to the environmental impact of blindly buying plastic year after year. In terms of bottles alone, the figures are staggering. According to a report in The Guardian, 38.5 million plastic bottles are used every day in the UK. 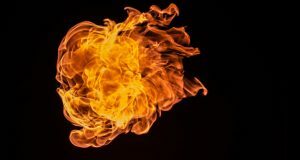 Of these, just over half are recycled – the rest go into landfill, are burned, or leak into the environment and oceans, choking marine life and contaminating the water we drink and the food we eat. 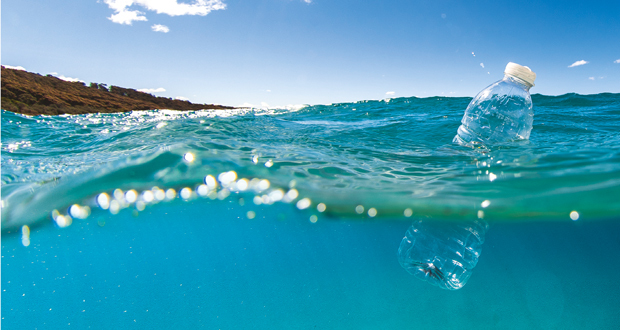 Zip Water UK points out that facilities managers are coming under growing pressure from employees and management alike to reduce the amount of single-use plastic in the workplace. Large companies such as the BBC are already committing to remove single-use plastic from their operations by 2020, and there’s no better time to be on the front line in the battle against plastic pollution. Zip has four tips to help your organisation cut down on plastic. 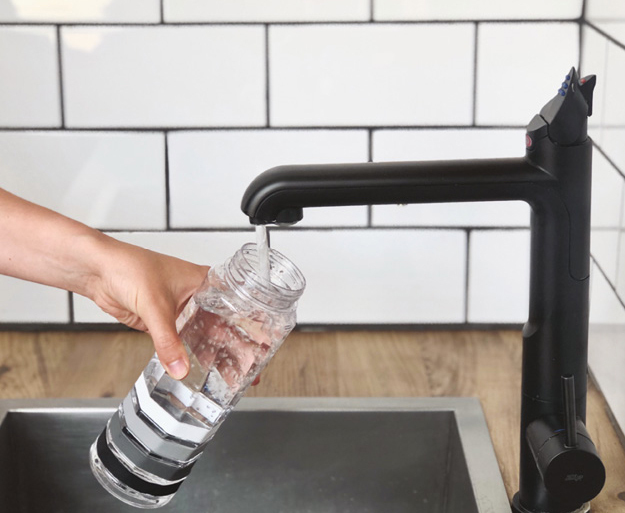 First, if your organisation relies on vast supplies of plastic bottled water for meeting rooms or water coolers to hydrate the workforce, you should consider switching to a mains-fed filtered drinking water system. As bottled water is often preferred to tap water for taste, providing a supply of clean filtered water free from contaminants is essential. There are systems available that offer filtered boiling, chilled and sparkling water, plus unfiltered hot and cold water. In a multi-storey office, it might be worth installing more refreshment points around the building to encourage staff to use the filtered water rather than giving in to the convenience of plastic bottled water. However, it’s no use switching from plastic bottled water to mains-fed drinking water if the water is delivered into single-use plastic cups. So the second tip is to stock kitchens with clean reusable mugs and glasses. One-use plastic cups, cutlery, plates and stirrers may be convenient, but they really aren’t necessary. Stop buying them and opt for the real (reusable) deal. Things like straws can’t be cut out entirely, but there are reusable alternatives made from materials like stainless steel, titanium, glass or bamboo (hailed as one of the most sustainable and fastest-growing materials in the world). You could also take advantage of the many coffee chains now running incentive schemes for customers bringing refillable cups. Make sure your staff are aware of these, and organise refillable bottles or coffee cups for each member of staff, encouraging them to order takeaway drinks in a more sustainable way. Once given access to pure-tasting filtered water, and reusable glasses and bottles to drink it from, staff shouldn’t need to purchase single-use plastic bottled water. So Zip’s third tip is to encourage the business to introduce a ban on employees bringing their own plastic bottled water into the office. You could try a penalty scheme where breakers of the bottle ban pay a small fee to a chosen charity. Finally, it goes without saying that the best way to reduce plastic pollution is not to create the waste in the first place. But in a world that has become reliant on plastic as a lightweight, durable and low-cost packaging solution, this may not be achievable in the short term. It’s therefore crucial that unavoidable plastic waste is properly recycled. Make sure all your staff understand your waste management system. Clear signage on bins explicitly listing what can be put in them will help reduce mistakes. Most recycling bins require clean and dry waste to avoid contamination and mismanagement. Place them near sink points so that employees are less likely to put, for example, half-empty cups into a bin out of convenience. While the main goal is to limit plastic waste, creating a circular plastic economy does help. In terms of plastic, Vacherin makes a point of avoiding plastic straws. “If they have to be used, we use alternatives to plastic,” says Mistry. “We use biodegradable products where possible, such as stirrers and cups, but we prefer reusable over disposable, such as glass and ceramic wear.” The company offers tap water infused with fruits and herbs as a refreshing alternative to plain tap water. Sodexo in the UK and Ireland has banned the purchase of all plastic straws and stirrers, and has also committed to phasing out single-use plastic bags and polystyrene foam items such as cups, lids and food containers by 2020. Last year Sodexo became a supply chain member of the Simply Cups scheme – the UK’s only collection and recycling service dedicated to turning paper and plastic cups into second-life material. 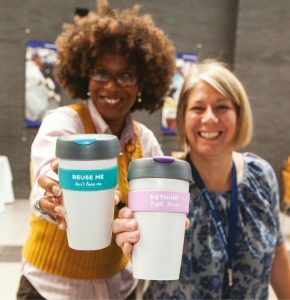 Sodexo’s customers will soon be able to buy the innovative rCup, a reusable cup made from used disposal cups treated by Simply Cups. Since March 2018 all Sodexo outlets have been able to accept any brand of reusable coffee cup, and in some contracts already offer price reductions and levies to encourage a behavioural change from using disposable to reusable cups. 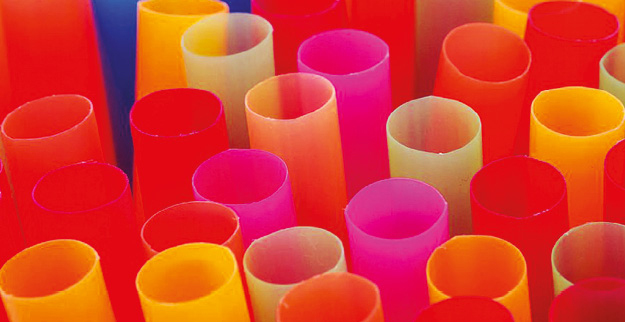 Gather & Gather was the first contract caterer to wage a ‘war on straws’, publicly announcing the removal of these plastic nasties from sites across the UK and Ireland from May this year. The company’s MD, Allister Richards, notes how in his most recent Blue Planet series, Sir David Attenborough highlighted the shocking fact that eight million tonnes of plastic are deposited into our oceans every year. This figure is already considered conservative, with the latest estimate close to 10 million tonnes – a figure so huge it’s almost impossible to grasp. Recently a pilot whale died having ingested more than 80 carrier bags. A 2015 video of a turtle having a 10-centimetre straw pulled out of its nose has been viewed by almost 28 million people on YouTube. This is all adding to popular pressure for action. Over 18 months Gather & Gather halved its consumption of plastic straws, with the number of paper straws overtaking the number of plastic straws used for the first time in January 2017. “This initiative will prevent tens of thousands of straws from going to landfill each year, yet many competitors are still to follow suit,” says Richards, adding that the company is urging an industry-wide ban. Front of house is also coming under scrutiny, with the company seeking to reduce the amount of waste brought into its customers’ premises. 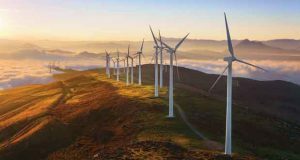 “This has recently seen us audit over 5,000 product lines for one major client,” says Richards, “and is a huge step in supporting them to create a plastic-free operation by 2020.